Serena Williams used the 18-year-old Dayana Yastremska's inexperience to her advantage as she overpowered the Ukrainian to make it to the fourth round of the Australian Open on Saturday. Serena Williams used the 18-year-old Dayana Yastremska’s inexperience to her advantage as she overpowered the Ukrainian to make it to the fourth round of the Australian Open on Saturday. She routed her opponent 6-2, 6-1 in a match that lasted an hour and seven minutes. While reigning US Open champion Naomi Osaka of Japan outlasted upset artist Taiwan’s Hsieh Su-Wei to reach the last 16 of the 2019 Australian Open on Saturday. The No.4 seed downed her Taiwanese opponent 5-7, 6-4, 6-1, to reach the fourth round in Melbourne for a second straight year. Osaka bounced back from a set and a 4-1 down and squeezed past 28th-seeded Hsieh in one hour and 57 minutes. Japan’s first-ever Grand Slam champion hit 41 winners, including eight aces and collected 42 unforced errors, nearly half of those in the first set. “I’m taking every match as it comes, but I’m playing as hard as I can, the best I can do and I love it out here,” Williams said. For Osaka, a thrilling opening set saw a battle between heavy-hitter Osaka’s raw power and Hsieh’s double-handed deception, dinks, drop shots and invitations to over-hit. Hsieh also benefited from Osaka’s numerous backhand errors to break serve and lead 4-2. But Osaka was back in the game after the topsy-turvy opening set and picked off three games in a row to lead 5-4 and serve for the set. In the other women’s singles match, Ukraine’s Elina Svitolina defeated former quarterfinalist Zhang Shuai of China to reach the round of 16 at the Australian Open on Saturday. 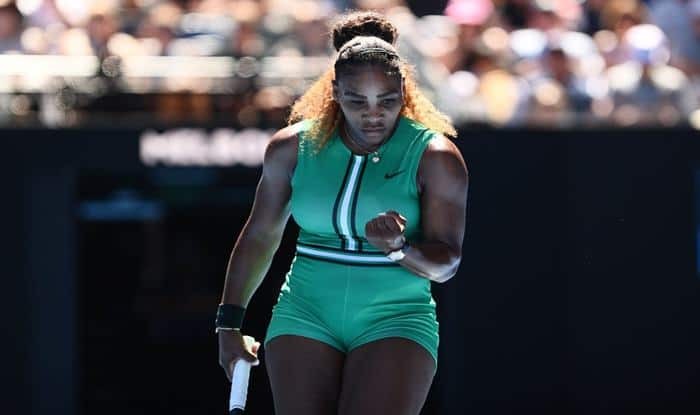 The No.6 seed rallied from two breaks down in the final set to beat her Chinese opponent 4-6, 6-4, 7-5 inside Rod Laver Arena in a match that lasted nearly three hours. The Ukrainian trailed 3-0 in the final set which lasted over an hour on its own, against an in-form Zhang, but managed to run off with five straight games to serve for the match. Zhang won the next two games to draw level but that was not enough to bring down her 24-year-old opponent.